When you choose to work with custom home builders in Calgary, you truly have the opportunity to customize in every sense of the word. Many people think that building a custom home simply means that they will have the option to add a few preferred features to a standard home design, but at Fine Line Homes, that is not the case. We want our clients to customize and specify any and every feature they wish. Our engineering and architectural professionals are waiting to be challenged, and have the skills and expertise to integrate both exterior and interior custom design features into an energy-efficient and aesthetically pleasing whole. Improved livability. Do you want a home office in a quiet corner of the house, or a self-contained suite for your in-laws? Would your teenagers be happier in private basement bedrooms? When you build a custom home, you can create layouts and features that meet your individual needs. Location, location, location. With the resale market, your location options are limited by what’s available. When you build a custom home, you can live wherever there is property available that you can afford. Better resale value. Because custom homes have more complete features, and because Fine Line Homes incorporates energy-efficient technologies into every home we build, our houses tend to command higher resale value than comparable standard-built homes. Floor plans. At Fine Line Homes, our clients have the option of creating the exact layout they want, including everything from the home’s directional orientation to the inclusion of purpose-built rooms and suites. If you’re having a hard time finding the kind of layout you’re looking for on the resale market, going custom may be a better idea. Eco-friendly and energy efficient features. We allow you to specify the exact building materials you want to use, both outside and inside the house. If you want to incorporate eco-friendly products like bamboo or reclaimed wood, we’re happy to do it. We also offer a wider range of insulation options than most other builders, including products like insulated concrete forms (ICFs), structural insulated panels (SIPs) and even straw bale insulation. Finally, all our homes are equipped with EnerGuide-rated appliances, efficient lighting and HVAC systems, and many other features that will reduce electricity consumption year after year. Windows and doors. Your home’s windows and doors are crucial to its energy performance, which is why we provide our clients with comprehensive options that support a sealed building envelope and deliver all-season comfort. Special features. Don’t be afraid to dream big. We’re able to incorporate even the most exotic special features into our homes. A few examples include basement theatres, indoor pools, smart home systems, heated flooring, zoned heating and cooling, and much more. We also prioritize practicality when it comes to special features, from the custom placement of electrical outlets to the incorporation of additional storage space. At the end of the day, it’s all about your vision and your specifications. We work side-by-side with all our clients to ensure the features they want are incorporated for a price they can afford. Custom Home Builders Calgary: Now Is the Time to Go Custom! As one of the leading custom home builders in Calgary, Fine Line Homes is committed to helping each and every one of our clients realize their lifestyle dreams at a price they can pay. One thing many would-be buyers don’t realize is that custom homes don’t have to cost exorbitant amounts of money. 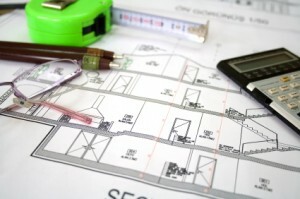 In fact, we offer accurate, no-obligation estimates of what the home of your dreams might cost to build. If you have any questions about our capabilities or our building process, please don’t hesitate to contact us directly.